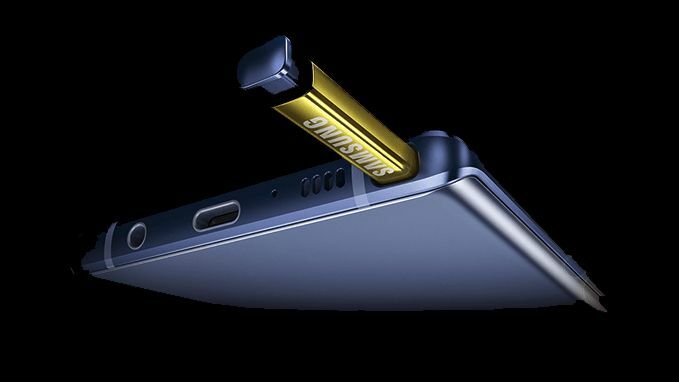 The Samsung Galaxy Note 10, which is expected to launch in August 2019, could feature a brand new component that will give it the edge over the soon-to-be-announced Samsung Galaxy S10. That's because, according to a post on Weibo by Samsung insider Ice Universe, that was picked up by GizmoChina, the South Korean firm may release its Exynos 9825 processor "in the second half of this year", which means it could be ready in time for the Samsung Note 10 release date. Previously, corresponding models of the Galaxy S and the Galaxy Note have shared the same processor. For example, the Samsung Galaxy Note 9 and Samsung Galaxy S9 both had the Exynos 9810 processor at their hearts, while the Samsung Galaxy Note 8 and Samsung Galaxy S8 shared the same Exynos 8895 chipsets. Now it looks like Samsung is about to make a radical break from tradition in arming the Note 10 with a newer, more powerful processor than the chipset inside the Galaxy S10 (widely tipped to be powered by the new Exynos 9820). This sure to be very welcome news for loyal Note fans who were hoping for something a bit special for the tenth anniversary Note. It's worth noting that Exynos chipsets power Samsung-branded phones sold in South Korea, UK, India, and a number of other global markets. Models sold in the United States and China are powered by similarly spec'd Qualcomm equivalents. For the Galaxy S10, that Qualcomm chipset is sure to be the Qualcomm SnapDragon 855 processor – so is there another SnapDragon revision on the way ahead of the traditional annual refresh or is there untapped power in the 855 chip that could give the Note 10 the edge over the Galaxy S10 and S10 Plus? It's way too early to answer that question with any great accuracy, but if the Exynos-powered Note 10 gets a little spec boost you can be sure that Samsung won't leave the Qualcomm version lagging behind. With the launch of the Note 10 just seven months away, expect the leaks to start to ramp up, especially once the Samsung Galaxy S10 has been announced on 20 February and MWC 2019 wraps up the following week.